Some of the most fascinating and ancient musical instruments, including one made from a human thigh bone, will be showcased at Dundee Science Centre this week. ‘The Weird World of Musical Instruments’, which will take place on Wednesday 29 July 2015, will add an historic dimension to the Science Centre’s brand new exhibition, Music Mayhem – Science of Sound, which runs until Sunday 25 October 2015. Two half-hour sessions will be held, at midday and 2pm. 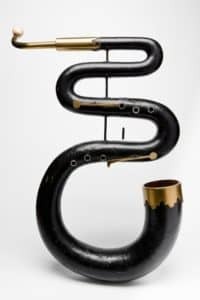 During this ‘Meet the Expert’ event, Sarah Deters, Learning and Engagement Curator at the University of Edinburgh’s Musical Instrument Museums will bring a variety of weird and wonderful instruments and divulge their amazing history, including stories of who played them. 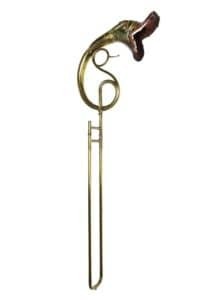 One of the instruments on display will be the Buccin trombone from France, which dates back to 1840. This trombone has an intricate dragon (or serpent) head instead of the traditional bell. Instruments like these were used in military bands and in opera production. Some of the instruments even had tongues that stuck out and wagged as they were played! There will also be a Rkang-gling (thighbone trumpet) from Tibet. Bone is a common material used in instrument making, but this instrument is actually made from a human leg bone. 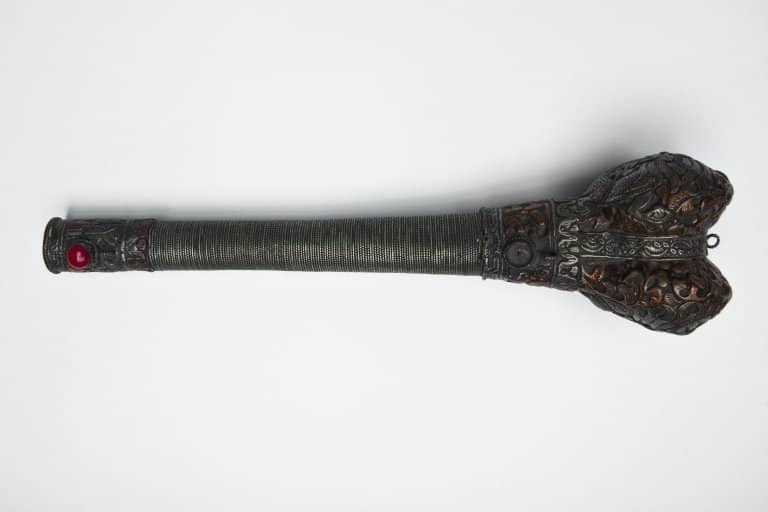 Trumpets like these are commonly found throughout Tibet and Nepal and are an important part of Buddhist rituals. Meanwhile, a flute from Paris, dating back to 1819, will represent the family of crystal flutes which were highly fashionable in the 19th Century. Despite being beautiful, many people fell ill after using them due to their very high levels of lead and even uranium! (The version on show will be safe for the public to view). Musical Instrument Museums Edinburgh is one of the world’s most important collections of musical instruments. The collection spans 500 years of musical history with items coming from all around the world. The collections are displayed in two historic buildings: St Cecilia’s Hall (the oldest concert hall in Scotland) and the Reid Concert Hall and Museum (the oldest musical instrument museum in the world). For more information. visit http://collections.ed.ac.uk/mimed and http://www.miayf.org/.